WELCOME! You have arrived in the beautiful Flathead valley of Montana. 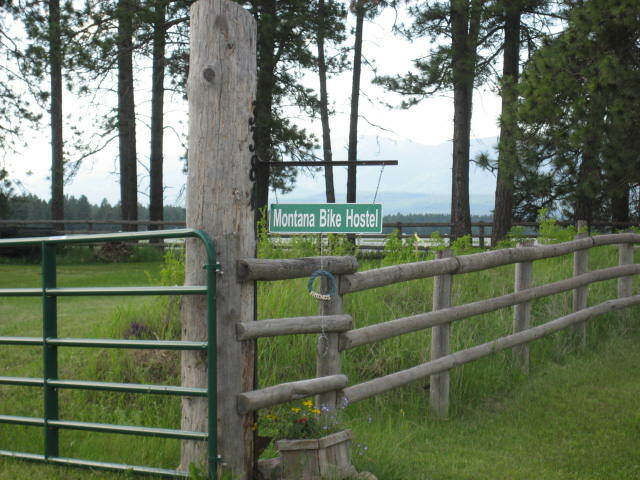 The Montana Bike Hostel has great accommodation's for the Road and Mountain Bike rider. We have one guest room for two in the Hostel and a Guest Cabin that has accommodation's for up to 6 people, Plus many spots to pitch a tent, the guest cabin has all of the comforts of home with a spectacular view of the Big mountain Ski area and the Rocky Mountains. We offer shuttle service to and from Glacier Park Airport and the Amtrak Train Depot in the quaint town of Whitefish. Glacier Park is 20 miles east , so you can ride the famous Going to the Sun Road over the Continental Divide. Big Fork is a fun town to Visit on Flathead Lake it is a lovely 2 .5 hr ride south. How about a shuttle to the Canadian Border and ride back to the Hostel? Bob offers lots of fun rides on the low traffic roads in the Flathead Valley and great Mountain Biking on some challenging trails too. We can arrange Bike rental's to suit what ever type of riding you would like to do. Bike shuttle to where ever you want to go. Biking is our passion here at the Montana Bike Hostel. How about some great food? Whitefish has wonderful restaurant's and coffee shops. The City Beach in Whitefish is a great place to swim and cool off after a long day in the saddle. 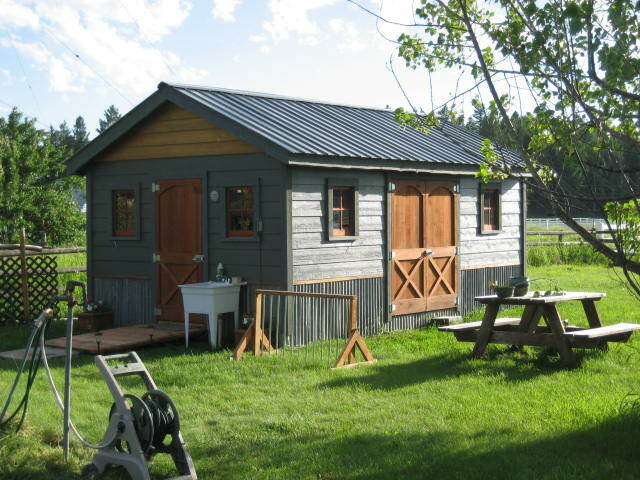 The Cleanest water from the water shed of North America is right here in the Flathead Valley. Need some fuel, Hammer Nutrition is 3 miles from the Hostel get the best Supplements from Hammer and a tour of their Main Headquarters. Would you like to do a overnight Bike trip? We offer many great places to camp and ride with our Casita bike Camper. Our Rates are very low for the Biking Groups and Couples, Sag wagon support and shuttle service is priced in miles and the size of the group. Guiding service prices is also based on the size and distance for the group. 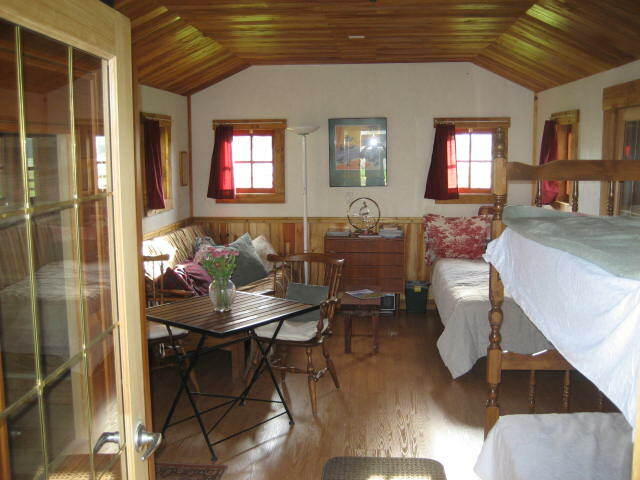 Camping is $20 per Tent and Lodging in the Cabin is $25 a person which sleeps six. Or stay in the hostel at $50 per person per night, Shower are $5. And there is a Sauna in the cabin. We accept pay pal, Travelers check or just plain old cash. The bike season starts here in May and runs to the end of September, So come to the Hostel and find the Best Biking of a lifetime right here in Montana. Hope to see ya soon Bob & Beverly Lucke. Call for Reservations 1-406-755-2204 Bob has some of his rides on Facebook Montana Bike Hostel. Email robertbeverlylucke@centurylink.net.